I recently wrote an article about the reasons why you should learn Spanish on Steve Kaufmann’s blog, the creator of Lingq. Lingq is a great App and Steve always shares interesting advice and experiences about language learning on his channel. I’m obviously much more realistic now, after living 13 years in Spain and growing up a little bit. But the Spanish universe still fascinates me in many ways, and I’m always happy to share with others its beauties and wonders. 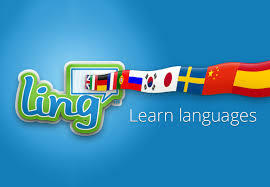 Why learn Spanish? Here’s my personal and very subjective point of view. What really got me under the spell from day one were Spanish sounds. My first teacher had a beautiful and perfect Spanish accent. Spanish is not very rich in phonemes compared to other languages, but I find the “r” and the “s” very intense and beautiful. I’ve always found it amazing how my voice becomes lower, deeper and warmer in Spanish. Pronouncing Spanish has always been a sensual experience for me. I love the rhythm of the Spanish language. Its melody seems to be made for songs and poetry. I used to learn songs and poems by heart even if I couldn’t understand half of them. And of course I fell in love with flamenco. The first time I heard real “cante” flamenco was in Sevilla, in a small bar, and I was so moved that I couldn’t stop crying. It’s so intense, extremely sad and beautiful at the same time. Of course, you have to see and hear real flamenco. Many shows and concerts for tourists have very little to do with flamenco. Although I really enjoy watching flamenco dancing, I don’t dance it myself. I found my dancing passion across the Ocean, in Latin America. I’m crazy about bachata and salsa. Of course you’ve heard about Velazquez, Goya, Picasso, Dali, Miro, Frida Khalo and Diego de Rivera, very famous and talented artists. If you go to Spain, don’t miss the Prado, where you’ll find many of the greatest paintings from Spanish artists. Travelling through Spain is also amazing. You’ll find so many vestiges from antiquity. Powerful civilizations conquered the Iberian Peninsula: Romans, Visigoths, Muslims… Extremadura is also a wonderful region to discover, with incredible places like Caceres, Mérida, Guadalupe, places where time seems to have stopped. Hispano-Mauresque architecture is fascinating. Sevilla, Granada and Cordoba are magical places with palaces that seem to come directly from One Thousand and One Nights. And last but not least, in a totally different style: Barcelona. A display of modernist architecture thanks to Gaudi with la Pedrada and Batllo houses, Güell Park and the Sagrada familia. Several periods of Spanish history have drawn my attention. Spanish Muslim history intrigued me so much that I dedicated two years studying it and I wrote a Master thesis about culture in XIth century Muslim Spain. It even led me to learn some Arabic. Al Andalus was a period of cultural explosion. And although most people don’t know much about it, it lasted for 7 centuries and had a huge impact on Spanish art, language and culture. The “Descubrimiento” is another fascinating period. I lived in Extremadura, the Spanish Comunidad where the greatest conquistadores, such as Pizarro and Cortes, were from. Although I‘ve never had the chance to go to Latin America, I’ve always been interested in pre-Columbian cultures. Reading Colon’s diary was an extremely striking experience. Modern history is also interesting and tragic. The independence wars in America, the Spanish Civil War and Franco’s dictatorship in Spain can’t leave you indifferent. Knowing Spanish recent history helps you understand current Spanish society. It’s hard to believe that the Civil War is still taboo in many ways and that today many Spanish people don’t know what exactly happened then. Spanish food is both simple and delicious. I’ve always wondered how very simple ingredients like eggs and potatoes can create such a succulent Tortilla. Going out to for tapas and drinks is very common, and Spanish people spend a lot of time outside with their friends and family. Enjoying everyday day life is certainly something I’ve learned from Spanish culture. No matter what your problems are, in Spain it seems that nothing is unsolvable and you learn to focus much more on the present and to see the positive aspect of every situation. Want to practice Spanish with me? Or maybe you want to talk about Spanish culture! Schedule an appointment with me.